This post originally appeared on History@Work. You can read it here. My daily job at the National Trust for Historic Preservation doesn’t involve day-to-day interaction with the broader public. Rather I am a historiographer, in that in my work as a content manager for preservation professionals, I am constantly thinking about the methodology of history–how we protect, communicate, and talk about the past. 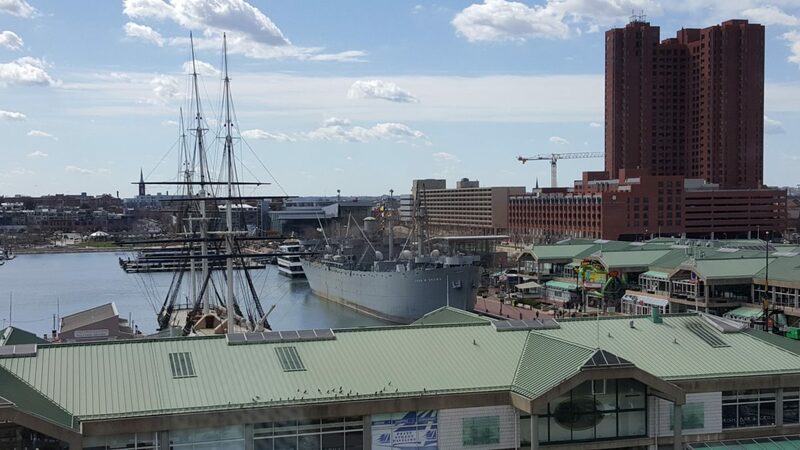 At the National Council on Public History annual meeting this past April, I realized that our most successful conversations and discussions were the panels and sessions that actively included the public’s viewpoint as part of the presentation. What I didn’t expect was a realization that in order to make strides in challenging the exclusive past, we need to examine the current discussions around the inclusive past. 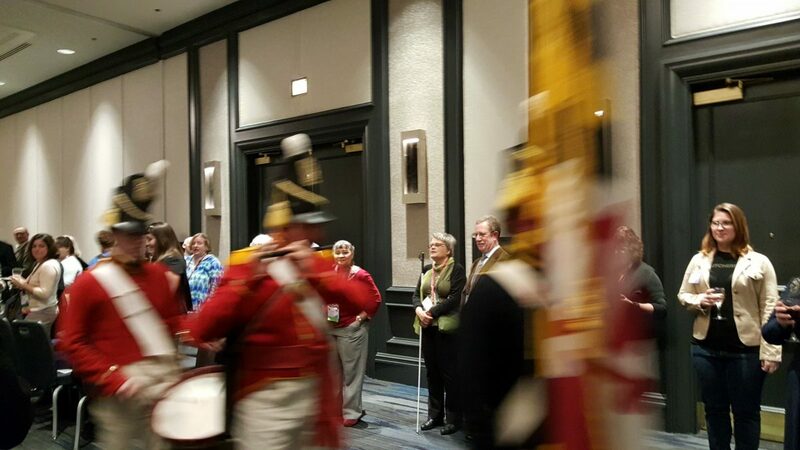 Day 1 and 2: Listened to a group of reenactors play music during the opening reception; moderated a panel about challenging perceptions of preservation; tried unsuccessfully to attend a panel about women in history and instead participated in a working group about accessibility in historical practice. Day 3: Attended part of a panel on preservation in post-industrial cities, and a full session about programs in Philadelphia that leverage art to teach about the past; tapped my feet during a session on the full history of the banjo; and listened intently during a plenary session on the Baltimore uprising. Day 4: Attended a panel on the process of interpreting race; attended another session on the secret lives of trees; and capped things off with a panel on the fate of Confederate monuments. During all of this I lurked and engaged in conversations about public history on Twitter–#ncph2016 and #HistoryInMyimage. Now, months later, there are two active threads that I keep thinking about. First, in the panels discussing changing perceptions, public historians advocated talking about the past through the lens of relevancy (not all that big of a surprise). But it’s not relevancy in the same sense as “making history matter”; rather it is thinking about the relevance for our audience. From a preservation perspective, it’s about economics, vacant properties, and resilience before the word preservation is actually brought up. If history and saving historic places isn’t the first or the second most important thing on the public’s mind, what is? And how can historians make those ever important connections to things like social justice and sustainability in a way that is organic and serves the needs of the publics to which we present? The second thread also links to communication, i.e. what we talk about when we talk about public history. NCPH, like a lot of conferences encourages panelists away from direct paper reading. And so I was incredibly excited to see live musicians in a session about the banjo, and hear–in a panel I wasn’t able to attend–a choir singing in a session about working with communities. Even the working group on accessibility invited audience members to think through the issues of providing access to all members of society: putting the public first. And I noticed that the least effective panel, and sadly, the last of the conference, was the panel on Confederate memorials. A lot of other attendees have written about this panel, so I won’t belabor this post with a long description of the conversation. Rather, I want to emphasize that the potential of this panel was high. However, instead of a robust dialogue, we received a lecture, while an entirely different conversation happened on Twitter. Now I’m not saying that what the panelists had to say didn’t have its place in the dialogue, but it was absent the public viewpoint. What resulted was the opposite of what successful conversations about public history should be. In another example, the public plenary had community members presenting about the riots in 1968 and the recent uprising in Baltimore. They shared incredibly powerful memories and experiences. While some of the attendees came from the church which hosted us, there was some concern about the absence of community members (and how the audience was mostly white public historians). I wondered if the reason “the community” stayed away (aside from the fact that it was a Friday night) was because the conversation was about something they had lived through. So now I’ll stick in my disclaimer. I’ll be the first to admit that this isn’t a novel epiphany. We’ve been talking about the community and relevancy in the field for a very long time. However, for all we talk about interdisciplinary conversations, about engaging the arts with preservation, of creating a broader narrative of the American past, it often feels like we still have not disengaged from traditional forms of historical presentation and understanding. There are times when I feel like we’ve silenced the public in our practice of public history. This, of course, is a sweeping general statement that does not imply that this is the case across the field as a whole. Rather, it’s an observation of one way we can guide our conversations into an already charted space. After all, in the end, isn’t our work about the people? I recently attended a lecture by the Pulitzer Prize-winning author Anthony Doerr who talked about his work of historical fiction All the Light We Cannot See. In that talk, Doerr mentioned how the novel originated from a question that prodded him when he was stressed–“maybe there is another way to look at time.” In the work we do as public historians, I believe that this question is tantamount to our future. If we are to continue to be “relevant,” to open up our field to powerful non-traditional and underrepresented narratives, we have to try something different. We have to insist on changing who holds the authority in the conversation. We have to continue to step up in our roles as communicators and facilitators. This doesn’t mean ceding narrative truth, but bringing in the voices that are creating our history today.